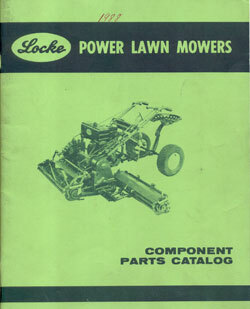 For the convenience of our customers, J&M Mower now offers the Locke component parts catalog online, for free. We sell all Locke parts - even those that are no longer in production at Locke Mower Company. In those cases, we manufacture our own versions of the parts for resale. Find the part number that you need and call us to order.